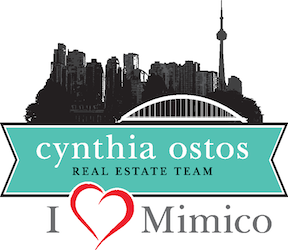 I ❤️ Mimico | Celebrate Canada Day and Canada 150 in Humber Bay Shores & Mimico! 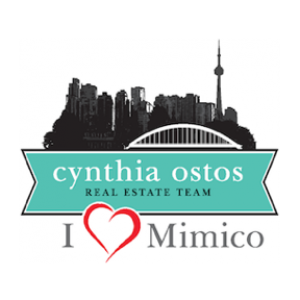 Celebrate Canada Day and Canada 150 in Humber Bay Shores & Mimico! Canada Day, July 1st, is a wonderful opportunity to celebrate our country – especially this year! This Saturday, residents of Humber Bay Shores, Mimico and beyond will be treated to some extra special celebrations commemorating the 150th Anniversary of Confederation. Humber Bay Park West has been chosen as one of Toronto’s key locations for Canada Day activities. The family-friendly event features a full line up of performances on two stages, highlighting music and dance from many cultures and award-winning performers. Food and drink will be available for sale on-site throughout the day. The grand finale of the day will be a spectacular fireworks display over the waters off Humber Bay Park at 10:55 pm. Below is the full schedule for the day, direct from toronto.ca – see you there! 2 pm – Diely Mori Tounkara | A versatile multi-instrumentalist and undisputed master of the kora, Diely Mori performs a beautiful mixture of traditional Mandingo pieces with contemporary compositions that take the audience on a journey. 3:15 pm – SATE | A must see for rock and roll fans, this Toronto vocalist and songwriter heads a dynamic band that spreads empowering messages and mixes hard rock with gritty funk. 4:30 pm – Iskwé | A truly unique mix of sounds, Iskwé weaves Irish and Cree/Dené/Métis roots with poignant politically charged lyrics, dark soulful R&B, electronic flourishes and trippy breakbeats. 5:45 pm – Reaffirmation Ceremony presented in partnership with National Partner CIBC. 6:45 pm – Bareto | Next in the long legacy of Peruvian Chicha (psychedelic cumbia) bands, Bareto bridges traditional Latin American Cumbia rhythms and modern aesthetics with a contemporary tropical twist. 8:15 pm – DakhaBrakha | An “ethno chaos” quartet hailing from Ukraine, DakhaBrakha generate a world of new, unexpected and intimate music that translates into visually stunning performances accompanied by transnational instrumentation. 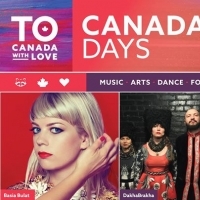 9:45 pm – Basia Bulat with special guest Cold Specks | Juno-nominated indie-folk singer Basia Bulat, joined by the remarkable doom-soul of Cold Specks, will wow audiences with her soaring auto-harp, stomping feet and powerful voice. This show brings two dynamic artists, both Etobicoke born-and-raised, together for a powerful headlining performance. 2:45 pm – Hassan El Hadi | Moroccan-born singer-songwriter and oud master Hassan El Hadi is considered one of the top musicians of his instrument and craft. His music is without borders, where genre-bending and hybridization rule for a new generation of global music enthusiasts. 4 pm – Pantayo | An all-female gong ensemble whose music is grounded in the Kulingtan traditions of Maguindanaon and T’boli peoples of the Philippines, and influenced by their identities as Diasporic Filipinas. 6:15 pm – Urban Arts | Beats. Mind. Movement. Urban Arts presents a showcase of emerging hip-hop and R&B performers from the Weston community who are next in line to inherit the kingdom of the 6ix. 7:45 pm – Wavelength Music presents The Magic | The Magic are brothers Geordie and Evan Gordon, born and bred in the small Canadian city of Guelph, Ontario. The brothers formed, and styled, The Magic in the back room of a now defunct treasure trove of a thrift store in downtown Guelph. Geordie sings, plays guitar and keys, with Evan on bass, backing vocals and production. 9:15 pm – Wavelength Music presents Most People | A psychedelic, indie-pop trio who deliver a kaleidoscopic, rhythmic sound that bounces between psych-pop jangle and spacey instrumental passages. 2:45 & 4 pm – Sanskriti Arts Ensemble | This Toronto based South Asian Dance Company brings a colourful parade of swirling dance and music. Expect beautiful traditional costumes, exhilarating music and a joyous celebration of South Asian culture. 4:30, 5:45, 7:45, 8:45 – Boom Bike by General Eclectic | Before you realize, you’ll be up and dancing to the sounds of Toronto’s only self-contained mobile bicycle sound system played by DJ General Eclectic. 7:15 pm – Maracatu Mar Aberto | Through rhythm, song, dance and community, Maracatu Mar Aberto manifests Afro-Brazilian popular culture on the streets and stages of Toronto. 8:15 pm – Heavyweights Brass Band | One of the most exciting new acts in the Canadian jazz scene will bring their funk to Humber Bay Park for a special on-water performance – gather on the shore and experience a New Orleans style second line performed from a Voyageur canoe. 9:15 pm – Heavyweights Brass Band featuring Humber College Music Students | Heavyweights will be joined by four up-and-coming musicians from Humber College’s Music Department for a rousing parade across the festival site.